Illinois' wealthy governor has donated $100,000 to Missouri Republican gubernatorial candidate Eric Greitens. A state campaign finance report filed Friday shows Republican Gov. 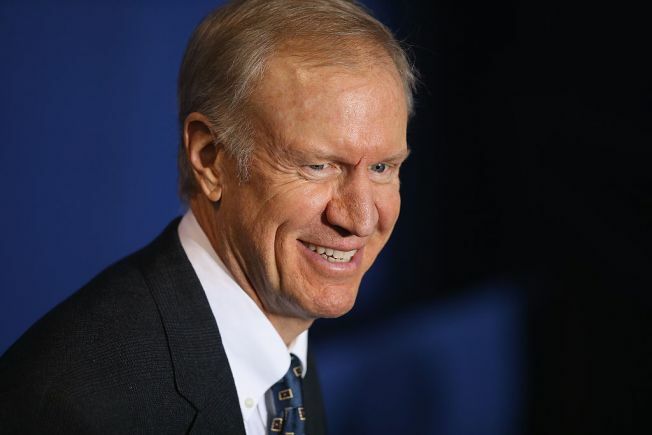 Bruce Rauner and his wife Diana made the contribution on Thursday. Greitens faces Democratic Attorney General Chris Koster in the race to replace Missouri Gov. Jay Nixon, a Democrat. Earlier this week Rauner also donated $100,000 to the Republican gubernatorial candidate in Indiana, Lt. Gov. Eric Holcomb. Rauner is a multimillionaire former private equity investor who spent millions of his personal fortune on his own 2014 election bid. He has invested $16 million from his bank account to help GOP candidates for the Illinois Legislature this fall. Holcomb is working to close a fundraising shortfall with Democrat John Gregg.